Configuring options for the Report Viewer	gives a user the flexibility to set the behavior and appearance of the component on a portal page. Options include changing the appearance of buttons and filters, enabling group actions, setting a default report, and more. 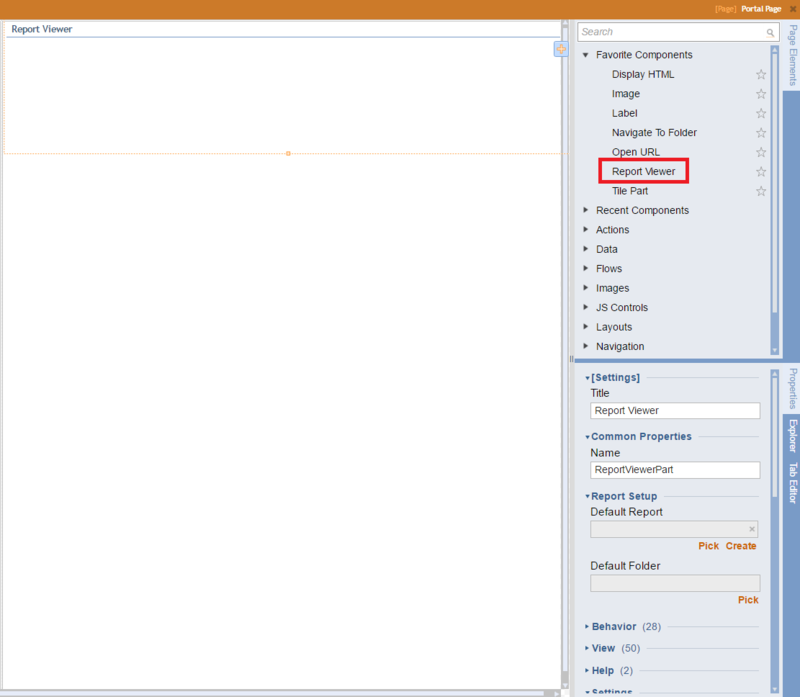 To configure the Report Viewer	go to the Page Designer. Select and drag the Report Viewer	to add it to the workspace. Within the Properties Panel	you can set options for the report in the Behavior	section. Create a portal page and add a Report View	to it. 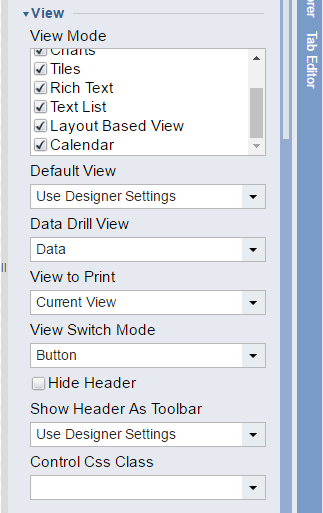 Configure the Report Viewer	by selecting the default report, changing the view mode, and setting the output option. This example uses a previously created Entity Report	. The page that will be mentioned in this example is calledPortal Page	. In a Designer Folder,	select Create Report/Page > Create Page/Dashboard. Name the page Portal Page	and click OK.	Click and drag a Report Viewer	step from the Page Elements Panel,	onto the Page Designer. 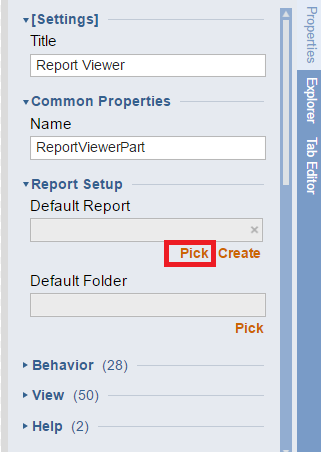 With the Report Viewer	selected, in the Properties Panel	(under Behavior	), click the Default Report	selector. 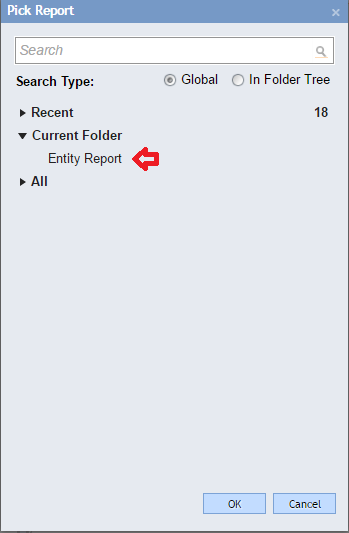 In the Report Picker	window select the Entity Report	under the Current Folder	drop down and click OK. The View Mode	checkboxes set an additional report format to view. In the Properties Panel	under the View Mode	checkbox list, select which views you would like to have access to. In order to view charts or a matrix for a report, the report must already have a chart or matrix defined. The page is complete. Save it and close the Page Designer	. In the Designer Folder	right click the recently created Portal Page	and go to View > Preview Page. Select the View Mode	tiles to change the view of the report.